I really like the coloring of Captain America’s body armor in Winter Soldier, but it’s hard to find subtler pieces I’d consider wearing myself. So much of merchandise made on the basis of superheroes or pop culture phenomena consists of cheesy or overly cartoony designs (i.e., the stuff that’s made for little kids). 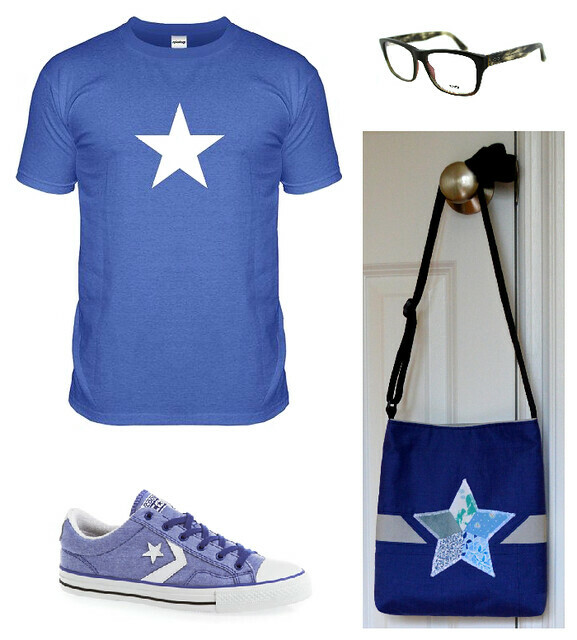 The references to Cap in this outfit are basically only visible in the blue and grey color combo and a white star on blue. And the geeky glasses. 🙂 Much more my style.